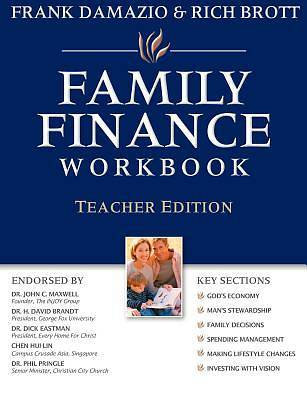 In simple and easy-to-understand workbook language with fill-in-the-blanks (Teacher's Manual has answers filled in), author Rich Brott explains that financially, you must "live below your means." If you have been living above your means, you are already in serious debt with no hope of becoming debt free unless you quickly change your financial habits. If you have been living within your means, you may be debt free, but you have little or no savings or investments to carry you through your retirement. What you must begin to do is live below your means. The book will show you how to do just that. Once you've accomplished the basics of getting out of debt, staying out of debt and continuing to live below your means, then the next big hurtle is to set financial goals that will keep you invested in simple, well-diversified, conservative investment vehicles. The only way to reach a financial goal is to work at it. The most important step in reaching that goal is to develop a plan to achieve it. That's why it is so important to plan ahead for your retirement and your financial future. While the idea of planning ahead and building a solid financial strategy for success can sometimes be intimidating and overwhelming, once you get started, it will become easier. With a little planning and a better understanding of what your investment options are, you too can successfully manage your money and pursue your financial goals.